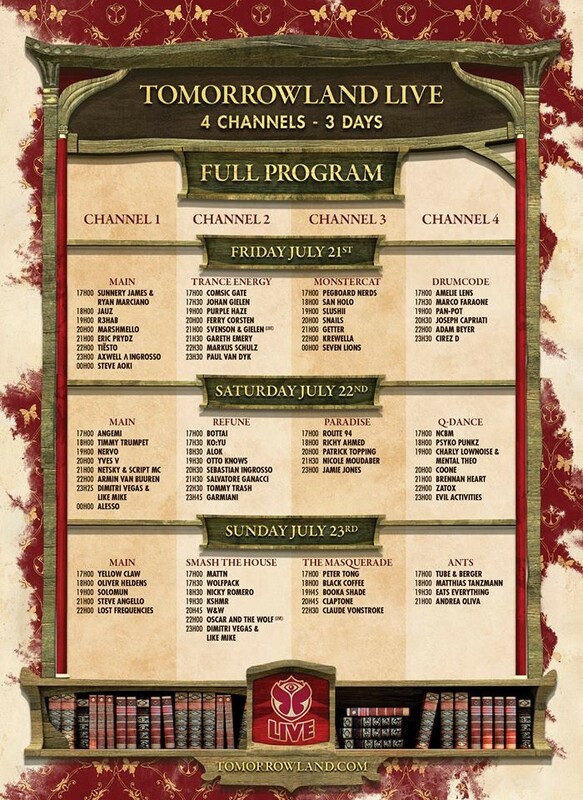 Tomorrowland’s day three stream is live now, bringing you the action from the Belgian mega festival in Boom across both weekends, which run from 21st to 23rd and 28th to 30th July. Today sees sets from Steve Angello, Solomun, Dimitri Vegas & Like Mike, Claude VonStroke, Eats Everything and more hit the live stream. Last week, Tomorrowland revealed the 78 performances that will be featured throughout the first weekend’s live stream. Steve Aoki, Jamie Jones, Alesso, Claude Vonstroke, and Paul Van Dyk are among those set to close down the stream each day. Those not attending the Belgian mega festival can experience the festivities via the Tomorrowland site. Check out the full live streaming program below.